I cant believe we did this. 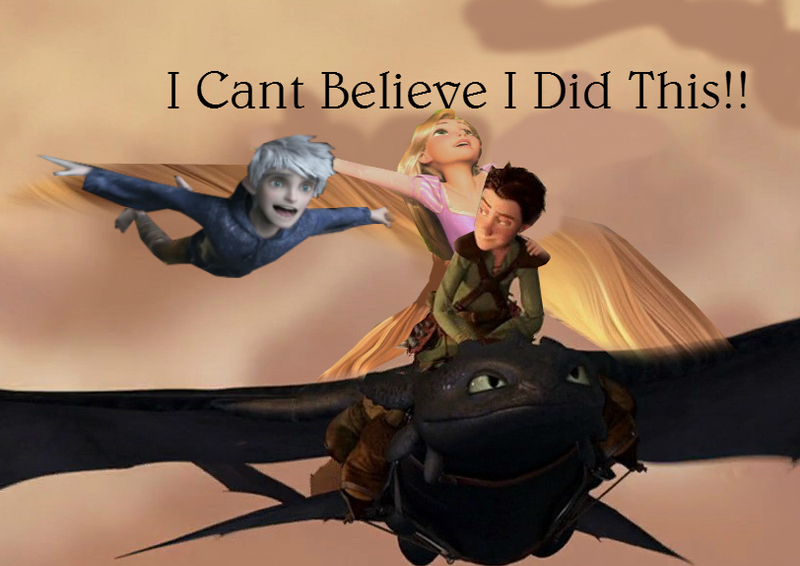 Rapunzel's hair flows in the air as she rides toothless for the first time. Hiccup is at the reigns of Toothless. and still no trusing the dragon Jack flys beside.. HD Wallpaper and background images in the 迪士尼跨界（crossover） club tagged: disney crossover dreamworks.